Here we go again! As it did with the last Windows 10 major update, the latest version recently released (1703) breaks the synchronisation between the iCloud calendar and Outlook. Reinstall iCloud making sure you click to apply it with Outlook functionality. As I mentioned both of the last two major Windows 10 updates have suffered this problem. It’s not like the combination of Outlook and iCloud is unusual so it is just ‘bloody mindedness’ on Microsoft’s part that they don’t address this. 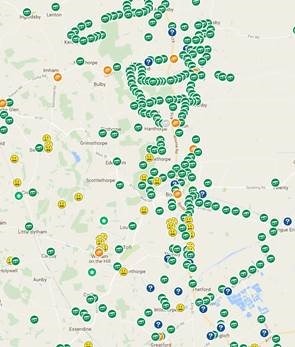 If you’d like to try a very positive and enjoyable use of modern IT and benefit from a healthy walk in the countryside, then download the app for your smartphone and try out Geocaching. Think of it as a type of treasure hunt. All over the world geocachers, like my wife and I, have placed small containers hidden in various locations for people to find. Mostly you will pass these by and have no idea they are there, but with the use of a smartphone and the satellite Global Positioning System (GPS) you can hunt out these ‘treasure’ boxes. All you need is your mobile smartphone, a geocaching app and a free account at Geocaching.com. Once you have those you can open the app (or go to the webpage) and search any location for hidden geocaches. The illustration here shows the result for searching for Bourne. If you are unfamiliar with geocaching then you may well be surprised at how many are out there and it is the same around the globe. If you search on a web browser you can click each geocache and get its reference, latitude and longtitude but today’s smartphone apps make life even easier. 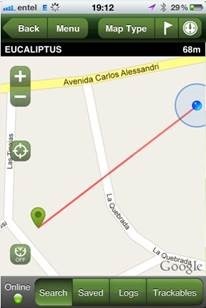 Carry out the search on your phone app, select the geocache that you want to hunt down and click navigate to the geocache. The screen will now change on your phone and it will use GPS to lead you to within a couple of meters of the geocache location. After that it is up to you to find it, usually in the vegetation. What do you do when you’ve found it? The geocache could be anything from a small magnetic box on the back of a sign, to a large Tupperware container, from a fake branch to a dummy snail shell. Regardless of size, inside you will find a sheet of paper that you can sign to log your visit. In some of the larger containers you will find swaps, small toys and souvenirs. The principle here is if you take something out then put something in. The kids love this element. As well as signing the small sheet at the cache you can also log your find on the app, or on the geocaching website. This way you can track which caches you have visited, locally or overseas. Occasionally, when searching out caches you will find a trackable item in the box. 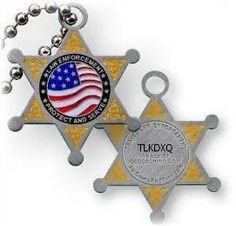 These trackable items are tokens that carry a unique identifier. Your task with these is to remove the trackable from the cache, log that you have it on the website (using the unique id) and move it to another cache. As the trackable has a unique identifier you can look up its ‘journey’ and see how many miles it has travelled around the world. Mesh Wi-Fi is beginning to take off with many of the networking companies releasing new mesh networks (802.11s). This method of networking relies on multiple wireless devices being used together in a grid, or mesh, coverage pattern to provide reliable and high performance wireless networks. This can be of benefit where the home, or office, suffers from poor wireless zones due to distance or environment. By linking the matched devices in a mesh network wireless signals can reach to those dim and dark wireless corners of the home. 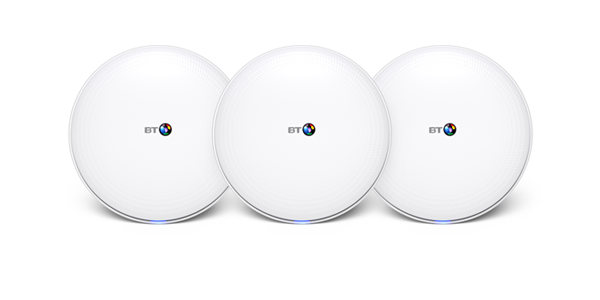 Most of the main network device manufacturers have released their own versions including this new one from BT called BT Whole Home Wi-Fi retailing at around £300. 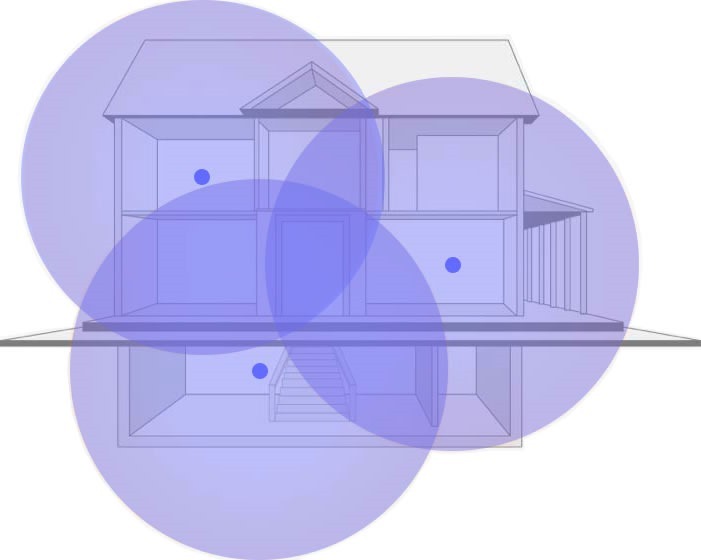 For many homes this level of coverage will be unnecessary but for those living in larger homes, or older homes with thick, solid walls, mesh technology could be a good direction to take to address Wi-Fi coverage around the house (or office). The ‘first’ device connects to the main router and then an app (Android or iOS) is used to help set up the two ‘sister’ devices to map out your mesh network. All handled in a user friendly manner. Current tests show that these networks are easier to configure than a home plug adapter network, more reliable and offer better across device performance. Apart from providing a reliable Wi-Fi network many of the devices also provide a wired connection (handy for connecting static PCs, TVs, set top boxes and such like. Email spamming and scamming is becoming a huge problem as more and more sources try to lure you in with false emails and links. Anything from promising free goods, to gift vouchers, pleas for help, warnings that your password has expired, or that your account has been compromised; the list goes on. 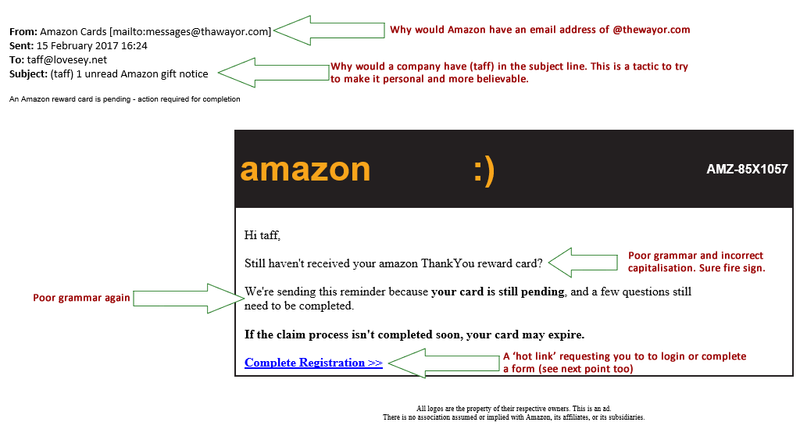 Here are a few tips for spotting these fake emails. Many of the tell-tale signs of a scam are evident in this email. The purpose of this email is to get you to click on the Complete Registration link and you will then be prompted to enter your Amazon login details – if you do then they’ve got you. Not only your Amazon details but also your login and password, not good for those of you that use the same password for separate sources. Let’s dig a little deeper. Let’s assume none of the other signs were there, how else can we tell this is a scam? If you are using an email application, such as Windows Live Mail or Outlook, by putting your mouse cursor on the blue Complete Registration text the actual (real) link that this will connect you to if clicked pops up. 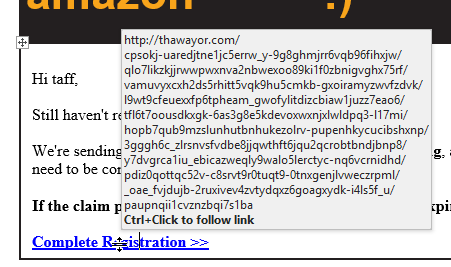 As you can see in this example this is definitely not an Amazon link. Would you intentionally connect to a link with all that rubbish in the address? Of course not but this is exactly what happens if you click on that link. This also applies to email scams that include an attachment. The principle is the same. Check out that attachment and never open it unless you are 100% sure of the source and expecting it. Now after sharing these tips with you I’m going to negate all this and basically say that none of this really matters. Email has become such a target for scammers and criminals that my actual advice is to NEVER open a mail containing a link such as this, even if it looks perfect. If Amazon really had a voucher for you then by logging in to your Amazon account via your usual browser, you would see if there was any communication pending. This is true of almost any large modern organisation. Use your account logins to check the status of your accounts and communications, never rely on email prompts. Online IT security threats will continue to grow significantly in 2017 as hacking and scamming sources increase investment in technology and in training criminals and cyber-terrorists. So who are these hackers? 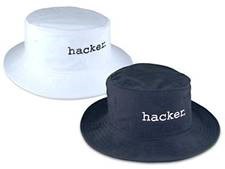 · White Hat: These are the good guys – they are ‘ethical’ hackers who focus their efforts on trying to break security systems to improve them. · Grey Hat: A mix of the above two. These hackers will try to illegally break system security but not necessarily for personal gain. However, these hackers often contact the target of the breech and offer to ‘fix’ the problem for a fee. Some even publish details of their successful hacks. Billions of pounds are lost every year to hackers and scammers. Not surprisingly this has attracted the interest of much larger groups. · Hacktivists: This group include cyberterrorists, an area of particular concern to the modern world. They target systems for purposes of furthering religious, political or ideological beliefs and ideas. · Organised Crime: Make no mistake, the huge sums that can be exploited from individuals and businesses has drawn the attention of international crime gangs that share information and invest heavily in their own IT systems and hacking tools and skills. · Governments: The threat of the above groups, plus the chance of carrying out their own cyber-espionage has forced heavy funding in cyberwarfare and prevention by all governments. You’ll hear this term a lot as we move into 2017 and beyond. This is a term that came into being due to the number of devices that now connect to the Internet other than the usual PCs, tablets and Smartphones. Technology is moving into the home in a big way. ‘Smart’ devices such as TVs, set top boxes (e.g. Freeview), printers, fridges, heating systems, light bulbs, electricity meters etc. More and more of our everyday devices are beginning to have integral Internet connectivity. Hackers are rubbing their hands in glee over this as many of these devices do not allow for regular security updates as on PCs, tablets and Smartphones, as a result they can be more readily exploited to spread viruses and hack networks. For many of the modern day threats we are in the hands of our service providers for protection, however, at an individual level we should ensure that we install and maintain Internet Security software and be cautious when using emails and visiting new web sites. I would also recommend at least two sets of back ups. The first on a regular basis to a connected device, such as a disk drive or cloud (Internet) backup option. The second to a device, such as an external disk, that can be disconnected from the system after the backup. This latter tip is due to a new wave of ransomware virus that searches for all data including any connected backup device and any active cloud (Internet) backup. Ransomware attempts to extort money from the target by encrypting any data found and demanding payment to provide a code to allow decryption. Is Your Windows 10 File System Corrupted? As an engineer providing support to home users and small businesses in the South Lincs area, I have seen a very high number of systems with Windows 10 file system corruption. This even stretches to a few systems that were straight out of the box, brand new! In many cases users may be blissfully unaware that they have a fundamental problem. Often systems will continue to run but response will be sluggish or resulting issues intermittent. A common symptom is an intermittent issue with the software that controls Internet access, resulting in the occasional loss of Internet connection or dropping off the wireless network. Even if you are not experiencing these issues I would still recommend that you test your Windows filesystem integrity by using the method detailed below. How do I test my Windows 10? · Right click (ie; click the right mouse button) on the Start button at the bottom left of the screen. · In the options that pop up click on Command Prompt (Admin). Note that it must be the one that states Admin not the one without. A black window will now open up that looks like an old basic IBM DOS system (for those that remember those). 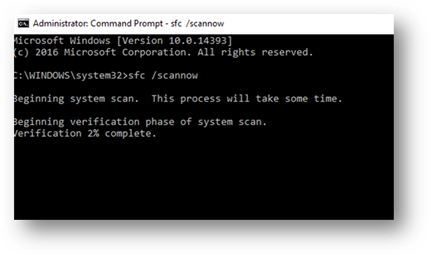 The system will now carry out a scan of the main Windows 10 file system, the very structure of the program code. It may take an hour or so to complete so just leave it running. You can use your PC during this time but it will run faster if you just let in finish. This is the one you want to see. Windows 10 has checked its own filesystem and found no problems. Of course if you are having intermittent issues with your system this may be bad news as it means that you have something else going on. This is good in many ways. It confirms that there was corruption but that Windows has been able to identify and repair the damage. If you have been having issues this may well have addressed them. You don’t want this result! If you see this one you are almost certainly going to need to do a Windows 10 refresh (a fresh install of Windows 10) to correct the problem. If you are not familiar with how to do this search online, find a friend/relative who is or contact someone like myself at LITES PC for assistance. I’ve had this problem a few time over recent weeks, all with Windows 10. The wireless and/or wired card appears to be connected but the system cannot access the internet. (1) If wireless connected ‘forget’ your wireless setting in Windows and re-establish it. See http://www.thewindowsclub.com/forget-wireless-network-profiles-windows-10 if you don’t know how. Note: I’ve had three instances of this in the past month so this may be worth running as a first fix. (4) Windows refresh. If in item 2 above you receive a message informing you that there are problems that cannot be fixed then you will need to do a windows refresh. Hold the shift button and press restart. You can then select troubleshooting mode to do a Windows repair.